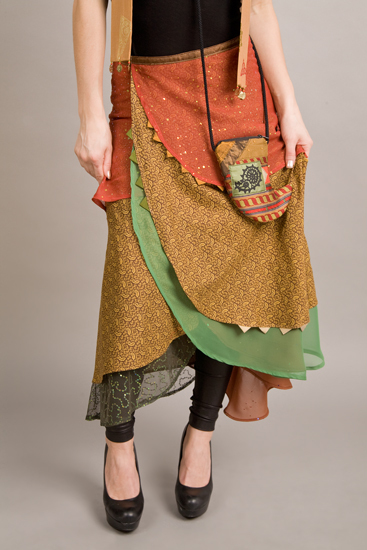 The body of the bag is made of sturdy fabric– most often canvas or an upholstery type, depending on your choices. The interior is lined, with a batting between layers to protect the drum. I include both hand grip straps and an adjustable shoulder strap. 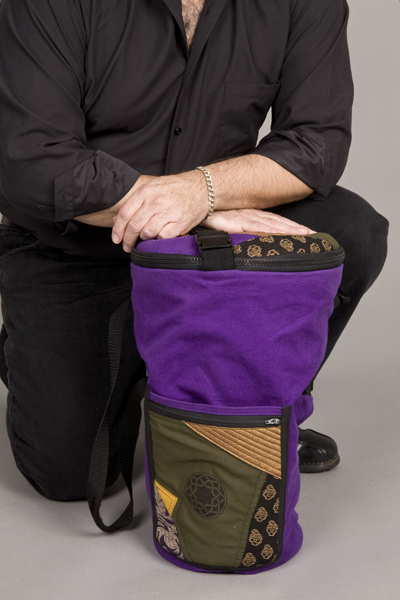 The zip closure is a sturdy coil type, appropriate for instrument carriers. 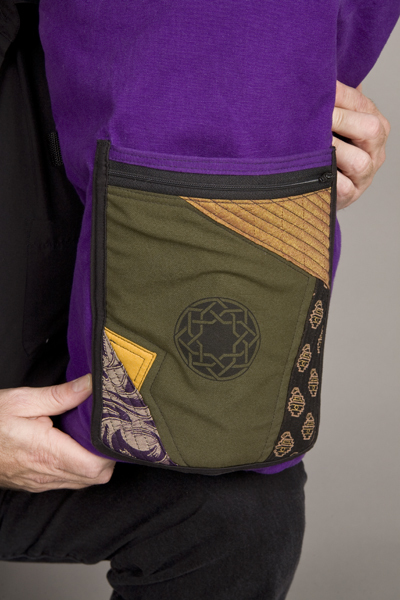 On the outer body of the bag I include a zippered double pocket for accessories, zills, sheet music, etc. I ask my clients to send fabric swatches or simply color samples–combinations they might like. 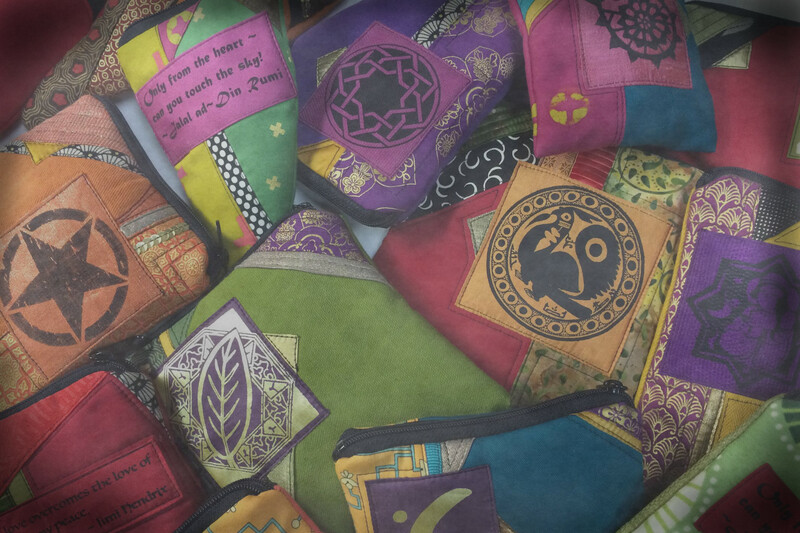 I like to finish the bags off with your choice of silkscreen motifs from my collection. 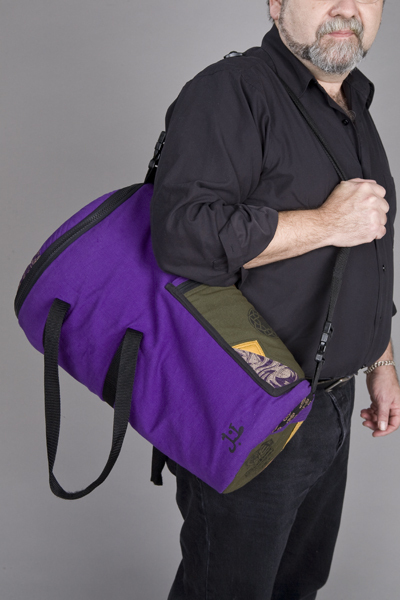 As you see, piecework and silkscreen give my bags a signature touch! I base my prices on a standard doumbek size–11″width (at drum head) by 17″ length. 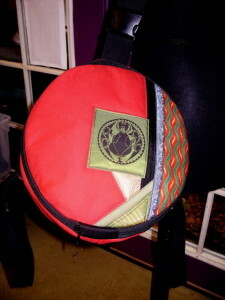 A custom drum bag is approximately $95 with $5-$8 for shipping. Figure a bit more for larger drums. I’m often asked to design matching bags for riq or other drum and percussion instruments and will gladly give estimates. Thanks for considering a Judee Moonbeam bag.